This Wool Coat Dress has a feminine A-line shape. It has a double breasted front with peak lapels and flap pockets. Fully lined, it is detailed with gleaming gold buttons. 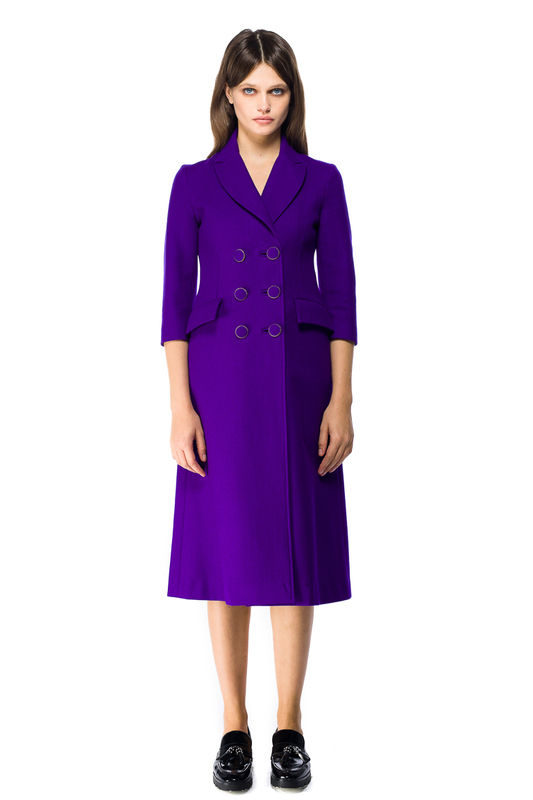 This Wool Coat Dress is designed and manufactured in Romania (EU).